With all the massive computer-security breaches that've been making headlines lately, warnings about old-fashioned small-scale scams can easily fly under the radar. But remember: fraudsters, thieves and scam artists existed long before computers, and are still operating today. 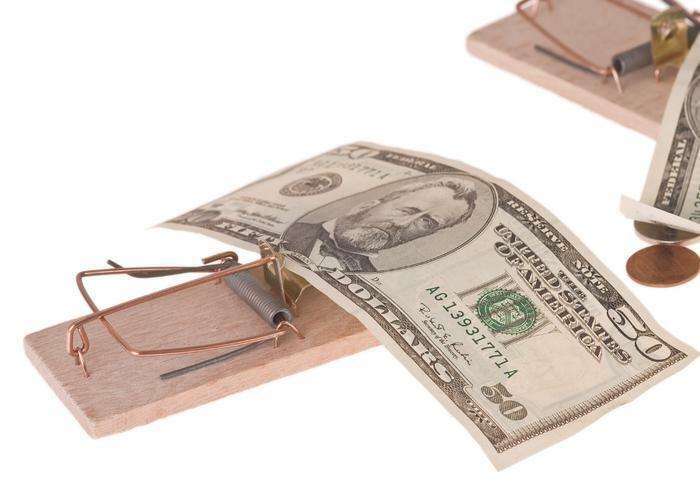 Last week, an unknown fraudster tried ensnaring a Salt Lake City family with the old “check scam,” but fortunately, the family was savvy enough to take a couple of obvious anti-scam protection steps, and didn't lose any of their money. KSL.com last week told the story of Dirk Ewing, a Utahn who opened his mailbox one day and was surprised to find a check for almost $2,000, supposdly from a school in Chattanooga, Tennessee. Which made no sense, since Ewing had never done business with anyone in Chattanooga, and his children never attended any schools there, either. Ewing's call to the school confirmed that it had never sent the check, and a call to the bank confirmed that the check was drawn on an account that didn't even exist. So it was obviously a scam, but with what presumed payoff for the scammer? The label “check scam” refers to any type of scam that first requires the victim to mistake a fake check for the real thing. The simplest and oldest form of check scam is to buy goods or services and pay with a bad or fake check, in which case the seller/victim loses the value of whatever good or service was sold. In today's society, the most common victims of that scam tend to be small-business owners, or “direct sales representatives” selling the likes of Avon products from their homes — in other words, the people in today's economy who are most likely to accept checks from people they don't already know. But most check scams are more complex, and basically take advantage of the “float” – the time it takes for a recently deposited check to actually clear the bank. The scammer will ask you to deposit a check into your account and then send a small portion of the money back to the scammer. Suppose you have $1,000 in your bank account, and receive a scam check for $500; the scammer asks you to send him $50, and you can keep the rest. So you deposit the $500 check in your account, still having no idea it is fraudulent – maybe the account doesn't exist at all, maybe it's a “real” account that has no money in it, and never will. Now, your account's “current balance” is $1,500 — that's the combined amount of the $1,000 you definitely have, plus the $500 you might have, if and when the check clears. But your “available balance,” the money actually available for withdrawal, remains only $1,000, and won't increase unless and until that $500 check clears. You withdraw $50 to send to the scammer, bringing your current and available balances down to $1,450 and $950, respectively — but when your bank finds out there's no money to back up that $500 check, your current and available balances both say $950 – and the $50 you gave the scammer is gone. So who sent that bad check to Dirk Ewing, and why? The best guess is that it's somebody who got Ewing's personal information from an online classified ad he'd posted some time before. You receive an email informing you that you’ve been offered a job as a secret shopper. To get started, the message instructs you to reply and confirm your mailing address. After doing this, you will receive instructions and a check to cover your fee and shopping expenses. … Your instructions tell you to deposit the check, subtract your fee and shopping expenses and wire the rest back—but don’t do it. The infamous “Nigerian email” scams usually boil down to check scams, too: if you respond to the come-on, the Crown Prince Oil Minister or whoever the scammer's pretending to be will usually send you a [bad] check for a large sum of money and ask you to wire back a small fraction of it. Or, if you sell something like Avon or Mary Kay, the scammer might place a large order with you, send a check for payment, and tell you they “accidentally” wrote the check for too much money... so, hey, why don't you just deposit that whole check in your account, then withdraw the extra money and wire it back to me? That way, you can lose cash money in addition to whatever products you actually send the scammer! The simplest and easiest way to protect yourself from check scams is to remember three rules. The first two rules are check-specific: when you deposit a check into your bank account, never assume the money is actually there until the bank tells you the check has cleared. And if you're in business and accept checks as payment, never agree to accept a check for overpayment, nor hand over goods to the buyer until the check has cleared. The third rule applies to everybody, whether you accept checks or not: never, ever wire funds or give pre-paid money cards to somebody you don't know.